Hi there! Today I’ll like to show you how Kotlin can be used to write a JavaFX application. This particular example encompasses both runtime and buildtime aspects as I’ll also show how Gradle Kotlin Script can be used to build the project. Let’s get started! UPDATE: The code assumes you’re using Oracle JDK8 which includes JavaFX (jfxrt.jar) by default. 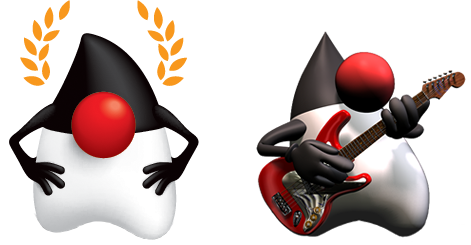 Make sure you have a compatible JavaFX binary if you’re using a different JDK release, such as OpenJDK. You can install OpenJFX on Ubuntu by invoking sudo apt-get install openjfx for example. Update 2: You may encounter problems when attempting to run the application from within IntelliJ. This is due to an open bug (https://youtrack.jetbrains.com/issue/KT-15040) that prevents IntelliJ from generating appropriate outputs when kapt is in place. Alternatives are to build and run the application outside of the IDE or configure the IDE to delegate the build steps to Gradle (see here). There’s a series of well-documented steps to get started with Griffon, even with Kotlin. Griffon separates application logic (Controller/Service) from the UI (View) and the data (Model) used by the two others to communicate. From the top, we resolve some of the properties defined in gradle.properties as immutable variables as we’ll use them in the script. Next we apply the kotlin, kotlin-kapt, and application plugins. The main entry point for the application is defined to be sample.javafx.kotlin.LauncherKt. This type is actually a Kotlin script. I must confess I was thrown off at first by figuring out the name of the actual type as the file name is sample/javafx/kotlin/Launcher.kt; there’s a naming convention followed by the Kotlin compiler; once you become aware of it the pieces fall into place. The next block defines artifact repositories, followed by the actual dependencies we need for this application. This is where the versions we resolved earlier come into play. Finally the build copies resources while applying a filter to a particular set of placeholders. Alright, with the build file done we can turn our attention to the code. There are 2 more production sources we need to take care of: the configuration (Config.kt) and the Dependency Injection setup (ApplicationModule.kt). The former informs the runtime about common settings and how the MVC members come together. The latter is used to specify the location of this configuration file as it’s not no the default package as expected by the default settings. As you will see, you can override many if not all of Griffon’s default settings; one of the driving goals for the framework’s design is that there’s no single way to do things, you may want to follow different conventions than the ones set forth by the framework, if so the framework should follow your lead instead of the other way round. We also have a group of resource files, whose main purpose is to define runtime metadata, i18n messages, and the JavaFX UI using the FXML declarative format. Remember the build has a block that configures how resources should be copied? Well these are those resources files. The Launcher script is responsible for starting the application. Modules are responsible for providing type definitions (or bindings as we call them) that will be used to configure the Dependency Injection container. You can override a matching binding with your own, and that’s exactly what we’re doing here. Notice the usage of ::class.java as the Griffon runtime expects a Java class, not a Kotlin class. On to the MVC members we go, looking at the Model first. Model classes in Griffon are responsible for holding properties and data that can be used between Controller and View to perform their tasks, in other words, these models follow the Presentation Model pattern. Our Model in this case is quite simple, as it holds only two properties: one for reading the the user’s input and the other to store the transformation expressed as an output. Kotlin has a concept for properties, akin to what we know as the Java Beans convention. We’d like input and output to be observable properties and leverage JavaFX’s powerful binding mechanism, but we’d also want to have plain getters/setters. The code we see for each property defines a private field that holds the actual observable property, while the getter/setter exposes the plain value. Kotlin’s syntax makes it a breeze to define these properties. By the way, I haven’t followed on what are the recommended coding patterns for Kotlin thus I decided to use an _ at the beginning of the private field name in order to avid collision with the actual property definition. In this regard I’ve found Go’s approach to Public/private (or Exported/unexported in their parlance) symbols to be refreshing. Now, I’m going to show the logic of the application first (Controller and Service) instead of the UI because the decisions we’ll make in this layer will affect the View code. All UI related operations, such as painting, redraw, read/write widget properties, must occur inside the UI thread. All non-UI related operations, such as disk access, network calls, computations, must occur outside of the UI thread. the definition of an fx:controller pointing to the View class as this is the class where the @FXML annotations are used. the name of the button matches the name of the controller action plus a prefix. There you have it folks, building a JavaFX application with Griffon and Kotlin is as straightforward as writing it with Java or Groovy. Remember you can use the Lazybones project templates as explained at the Getting Started tutorial if you just want to get off the ground quickly, or write all files by hand, or mix both approaches, your choice. That’s odd, @FXML is an annotation provided by the JavaFX runtime (jfxrt.jar) and as such should be available on the compile classpath. Are you trying out the code with Java8?